"Penguins of Madagascar" The breakout stars of 2005's "Madagascar," the penguin spies plotting their escape from the zoo, got their own spinoff movie in 2014. 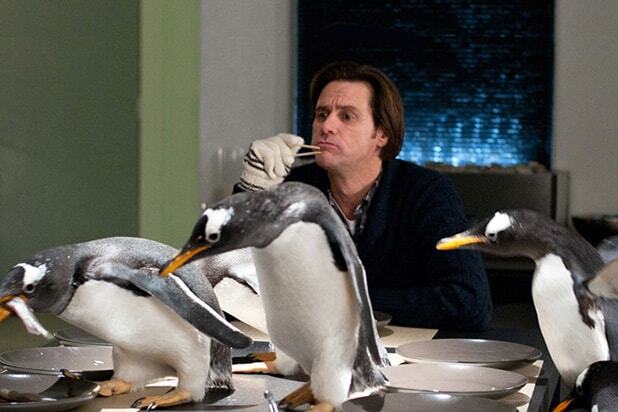 "Mr. Popper’s Penguins" Jim Carrey starred in Mark Waters' 2011 film adaptation of the classic children's novel "Mr. Popper's Penguins," by Richard and Florence Atwater. "March of the Penguins" Narrated by Morgan Freeman, the Oscar-winning 2005 documentary "March of the Penguins" depicted the yearly journey of emperor penguins. "Happy Feet" George Miller's 2006 Oscar-nominee "Happy Feet" follows an emperor penguin named Mumble who learns how to dance. 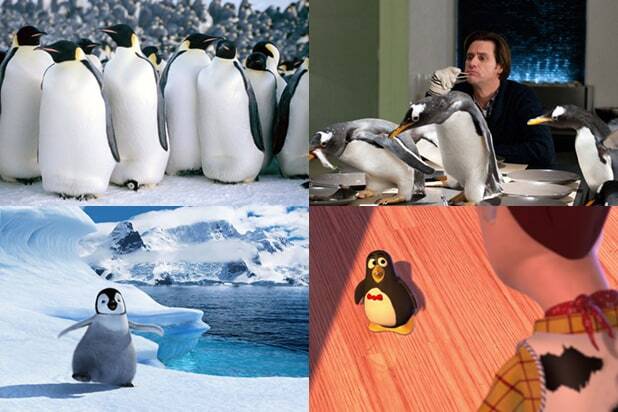 Wheezy in "Toy Story 2" "Toy Story 2" introduced Wheezy, a broken penguin toy cast aside and long-forgotten by Andy. Danny DeVito in "Batman Returns" Danny DeVito played The Penguin, one of Batman's most iconic nemeses, in 1992's "Batman Returns" alongside Michael Keaton as the caped crusader and Michelle Pfeiffer as Catwoman. Burgess Meredith in "Batman" Before he taught Rocky to fight, Burgess Meredith played a campier version Oswald Cobblepot, a.k.a. The Penguin, in the 1966 ABC series "Batman." Robin Lord Taylor in "Gotham" More recently, The Penguin has been played by Robin Lord Taylor on Fox's Batman prequel series, "Gotham."